Balloons play an important role in decoration. 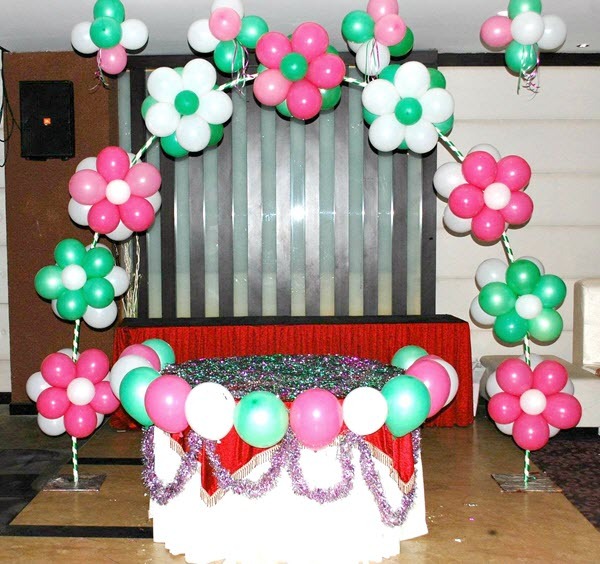 Whether it is birthday, festive occasion or any other important occasion balloons are indispensable part of any event. Small kids, adults, old people everybody likes them. There are lot of tricks which are simple but still the venue might look elegant. Below mentioned are some of the most creative ideas which are simple and creative. This tricks are meant for those who do not want to spend much but still make the event more enjoyable. You can just tie the balloon with strings and let them float in air. Balloon strings can be placed at different places of the venue. It will make the place look more elegant. 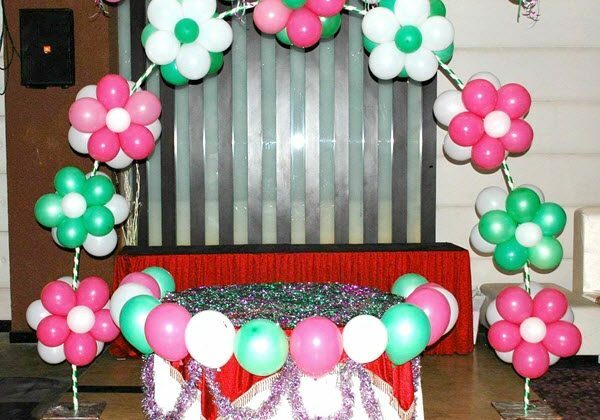 You can make a garland of balloon by tying all of them on a rope which will be hanging from ceiling. If you are throwing a birthday party then there is a unique idea to give ‘Return gift’ to kids. You can tie a balloon with a string to the gift product. Kids love balloons. When they see their gift decorated in such a unique way then they will just love it. Prepare a cone shaped paper and stick it to the balloon so that it looks like an ice cream cone. You can then tie this cone with a small string and let them float. It is an idea which is simple to execute. If you want to make something big then purchase a lot many number of balloons. Use these balloons to separate a large venue in different parts. People can use some portion of the space to click selfies. The pictures will look good against such a unique background. Making balloon flowers is easy. You need one balloon which is like a vertical stick. Stick five balloons together and then stick the center part of the balloon to the end of the balloon which is in the form of a stick. You can stick flowers to the balloons and tie them up with a string. Nowadays apart from Helium you also get LED balloons. You have to put one small LED bulb inside the balloon. With the LED light the balloon also gets lit. This is a good way to support environmental cause as LED lights are not harmful to the environment. Different types of balloons in the form of fruits can be stuck to a string. Even balloons in the form of donut can be hanged on the wall. You can make the dining table look more elegant by placing mini balloon placards. You can sketch something on the balloon and make the balloon look like a particular character. You can just draw by using marker or sketch pen. You can use your own imagination and give a personal touch by writing some messages on the balloons. Also you can stick some photos of the beloved person on the balloons for whom you have arranged the party. There can be more such simple and cheap decorative ideas. Use the help of the most creative person among your friends or family members and just rock the party!